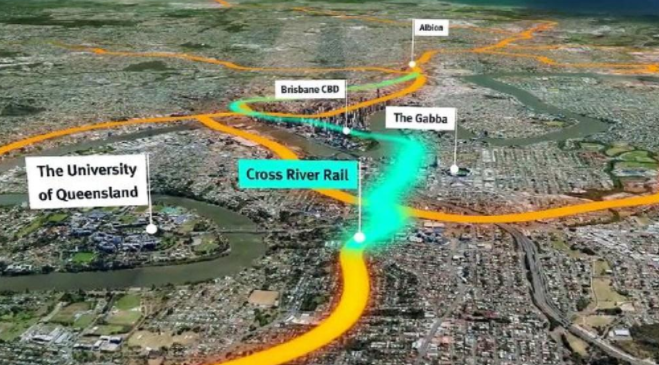 The construction of the $5.4 billion Cross River Rail project has begun. Find out what this important infrastructure milestone means for investors in Brisbane. To ensure as many homegrown construction companies as possible are involved in the Cross River Rail project, the State Government will use the Buy Queensland procurement policy. This procurement policy is controversial because it’s scorned by the Federal Government but hailed by local producers. Every year during construction, more than 1500 jobs are expected. Four new stations will be developed as part of the landmark project. These stations will attract development, including a health-focused science centre at Boggo Rd. A $2.5 billion entertainment and education precinct is being planned by entrepreneur Harvey Lister. The transport infrastructure will be a “major driver of private sector investment” according to James Tuma, national director of city-shaping specialists Urbis.